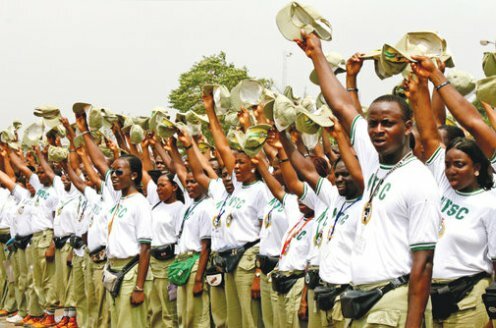 The National Youth Service Corps (NYSC) has released the timetable for prospective corps members who will be serving their country in 2017. 1. Briefing/Sensitization of Final year students/prospective corps Members from April 4-16, 2017. 2. Display of list of all approved programmes for institutions on NYSC portal for cross checking feedback from April 3 - 7, 2017. 3. Collation of Prospective Corps Members' Data by Corps Producing Institutions (CPIs) from April 3 - 9, 2017. 4. Submission/Uploading of Senate/Academic Board Approved Result for Full/Part-Time Graduates and Revalidation Lists by CPIs from April 10 - 16, 2017. 5. Collation of Prospective Corps Members' Data by Corps Producing Institutions (CPIs) from April 3 - 9, 2017. 6. On-line Registration by Foreign and locally Trained Nigerian Graduates from April 17 - May 4, 2017. 7. Entertainment of complaints from Prospective Corps Members by the state Deployment and Relocation officers and NYSC Help Lines/Desks from April 17 - May 4, 2017. 8. Forwarding of Complaints to Mobilisation Dept by State Deployment and Relocation officers from April 17 - May 4, 2017. 9. Deployment and printing of call-up letters by ICT department from May 4 - 6, 2017. 10. Notification/On-line Printing of Call-up Letters/delivery of call-up letters to institutions May 4 - 6, 2017. 11. Online printing of deployment disposition by Corps Producing Institutions (CPIs) May 6 - 8, 2017. Meanwhile, the NYSC has said that it would not corps members to troubled zones in the northern part of the country. The Zamfara state coordinator of the Corps, Hajiya Rahmatu Sanda said that one of the major concerns of the NYSC was to protect corps members. She said that in spite of the security challenges in the state, NYSC has not recorded any problem or casualty to any of the corps members.